This year Ukraine faces payments resulting from its international obligations. In 2018, Ukraine is supposed to repay USD11bn, while the central bank's foreign exchange reserves amount to USD19bn. The Ukrainian national debt amounts to USD76.3bn, 75 per cent of the GDP. Some USD6.8bn is required for the repayment of the principal, of which foreign debt accounts for 35 per cent. 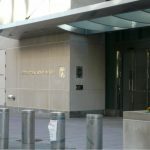 The International Monetary Fund (IMF) is to receive USD1.7bn as part of the repayment of liabilities incurred in recent years, the International Bank for Reconstruction and Development is to receive over USD303.8m, and the European Bank for Reconstruction and Development is to receive USD144.3m. In addition, the government in Kiev has to find an additional USD4.97bn to repay interest on the incurred loans in the amount of USD1.9bn, out of which 39 per cent is interest on liabilities to foreign entities. Ukraine is currently incurring debt at a rate over three times faster than the growth rate of its economy. The total state-guaranteed debt increased by 7.5 per cent last year, while the growth rate of the Ukrainian economy barely exceeded 2 per cent. Without further cooperation with the international financial institutions, it will be impossible for Ukraine to make these payments. “For the time being, we are not able to cope without external support,” admitted the Prime Minister Volodymyr Groysman. Meanwhile, despite being in a difficult situation, Ukraine is cutting itself off from the sources of financing that could be used for the repayment of its debts. Ukraine’s failure to fulfil its obligations under the stand-by arrangement concluded with the IMF in 2015 resulted in the withholding of payments of subsequent tranches of macroeconomic assistance. As a result, out of the USD17.5bn provided in the agreement, Kiev has only received USD8.7bn so far. The Ukrainian government would like to obtain at least USD2bn this year, but the chances for that are slim. That is due to the fact that the Ukrainian authorities are only willing to fulfil those IMF requirements which place a burden on society – and avoid those that would lead to profound changes in the economic and political system in Ukraine. There are two basic demands that should be fulfilled immediately –increase in gas prices for individual recipients (following several price hikes in the last three years), and the adoption of an act on the establishment of a special anti-corruption court. The authorities raised no objections to the first requirement. The IMF is calling for the gas prices to be increased by 18 per cent. Kiev is willing to do so, having waited out the critical winter heating season, in which any price increases would harm the already impoverished Ukrainians and could lead to social unrest. However, there is no agreement regarding the establishment of an anti-corruption court. In September last year, during the Yalta European Strategy conference in Kiev, the Ukrainian President Petro Poroshenko argued that Ukraine did not need an anti-corruption court and that it would be enough to establish additional anti-corruption chambers in the existing courts. 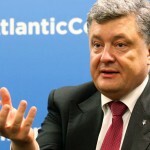 Poroshenko ultimately gave up under an international pressure and submitted draft legislation to the parliament in December 2017. 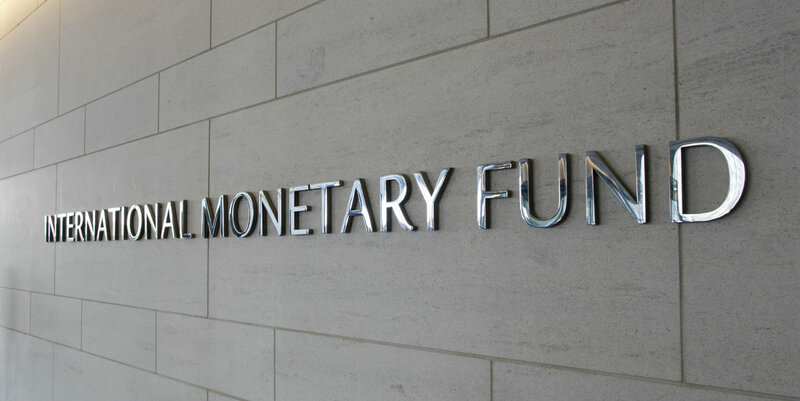 In February, the IMF mission visited Kiev for “last chance talks”. Its representatives once again confirmed that Ukraine should not expect further cooperation without the adoption of the anti-corruption court legislation in the wording agreed upon with the Fund. “It is now important that the authorities move expeditiously with parliamentary consideration of the draft law on the anti-corruption court, while ensuring that the necessary amendments are adopted during the parliamentary process to make the approved law fully consistent with program commitments,” declared Goesta Ljungman, IMF Resident Representative in Ukraine, while summarizing the results of the February talks. Meanwhile, the Ukrainian Minister of Finance Olexander Danyluk admitted that the IMF and Kiev have not reached an agreement on the issue of the anti-corruption court. According to analysts, without cooperation with the IMF there is no chance for Ukraine to establish cooperation with other international financial institutions. “Without the cooperation program with the IMF, the government will not be able to borrow any money on the external markets, and without that it will not be possible to refinance the scheduled payments,” said Volodymyr Dubrovskiy from CASE Ukraine. The first signals indicating that these forecasts are correct have already appeared. Last autumn, the Ukrainian Ministry of Finance informed that it was hoping to launch a new program in 2018, through which Ukraine would receive another EUR1.8bn from the European Union. So far, the EU has already provided EUR2.81bn. However, at the end of February, in an interview with the newspaper “Ukrayinska Pravda”, the head of the European Commission’s Directorate General for Neighborhood Policy and Enlargement Negotiations, Christian Danielsson openly stated that the EU’s cooperation with Kiev was conditional on Volodymyr Groysman’s government fulfilling the requirements set out by the IMF. “The existence of a functioning IMF program is a necessary condition for the disbursement of macroeconomic assistance by the EU. Today, Ukraine is in discussions with the IMF concerning the conditions for the continuation of the financing program. An agreement on the extension of Ukraine’s cooperation with the IMF should be reached and announced, so that we can take further steps to help Ukraine with macroeconomic assistance,” said the EU official. The only alternative to international assistance could be the implementation of real reforms that would significantly change the investment climate, but this is not likely to happen for the time being. Ukraine is ranked very low in international rankings of corruption and business conditions. 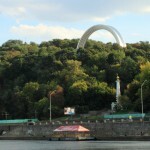 According to the economist Oleg Ustenko, from the Blazer Foundation, the Ukrainian authorities should take measures that would result in a quick and significant improvement of the business climate in the country, especially by abolishing the administrative barriers currently hampering the implementation of new business projects. “The country would receive an inflow of foreign direct investment, not at the level of 2.5 or 3, but USD10bn, as was the case in 2007. And then it would be possible to withdraw from cooperation with the IMF. 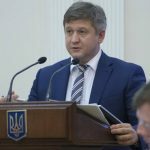 The only issue here is the will and the understanding that something has to be done,” stated Ustenko with regard to the dispute between Kiev and the IMF. However, in his critical assessment, the probability of such a development is minimal. The lack of systemic reforms is affecting the Ukrainian economy. As a result, a drop in output was recorded both in agriculture and in industry in 2017. The situation of enterprises in Ukraine is deteriorating with each passing year, and as a result, the share of the grey zone of the economy is growing. 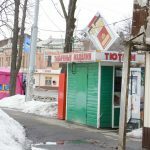 In IMF’s report “Shadow Economies Around the World: What Did We Learn Over the Last 20 Years?” which was published in January, it was noted that in 2015 the share of the shadow economy in Ukraine was 42.9 per cent, effectively depriving the state budget of a huge portion of the potential revenues. Approximately 96 per cent of the 184 representatives of foreign companies operating in Ukraine indicated corruption as the main obstacle for investors in conducting business activity. As many as 91 per cent of investors have encountered corruption in their activity and this result was 10 per cent higher than a year ago. At the same time, as many as 71 per cent believe that the Ukrainian common courts are the most corrupt part of the Ukrainian state apparatus, hindering investments in the country. In this situation, 89 per cent of investors believe it is necessary to establish a specialized anti-corruption court. “Combating corruption and the establishment of an anti-corruption court should be a priority in 2018, as according to the business community, the eradication of corruption is of key importance to economic growth and increased foreign investment,” Andriy Gunder, the head of the American Chamber of Commerce in Ukraine stated, summarizing results of the survey. Meanwhile, the government is arguing that the issue of corruption is being exaggerated. “Many of our enemies are interested in the destabilization of Ukraine and they will always raise the issue of corruption in our country. They keep repeating that corruption is very prevalent. I think that is an exaggeration,” stated Prime Minister Volodymyr Groysman in an interview with the Georgian edition of the Forbes magazine. In this situation, it is difficult to expect an agreement between the government in Kiev and the IMF, which demands the intensification of the institutional struggle against the corruption. The result is the current suspension of the macroeconomic assistance program, which will probably last for a long time. According to the Swedish economist Anders Aslund of the Atlantic Council, because of the attitude of its authorities, Ukraine has lost the opportunity to receive real financial support from the IMF. In Aslund’s opinion, Kiev may only receive some assistance from the Fund after the presidential election, which is supposed to take place in 2019.